‘WHAT DID I JUST SAY?’ As a media professional, I should probably know more about Jurassic World than I do, which is mainly not much, which is because I squealed and jumped and hid my eyes so much during Jurassic Park that I am maybe too scared to go see it. Then the internet lead me down the garden path via the clip of Pratt ‘doing’ his acting faces in the movie [funny] to the trailer itself [okay, so, that lady that got snatched up by a flying thing? Ahhhhhh] to a featurette [boring] to a scene in which Owen Grady [Irish!] rescues somebody who’s fallen into the raptor pit. 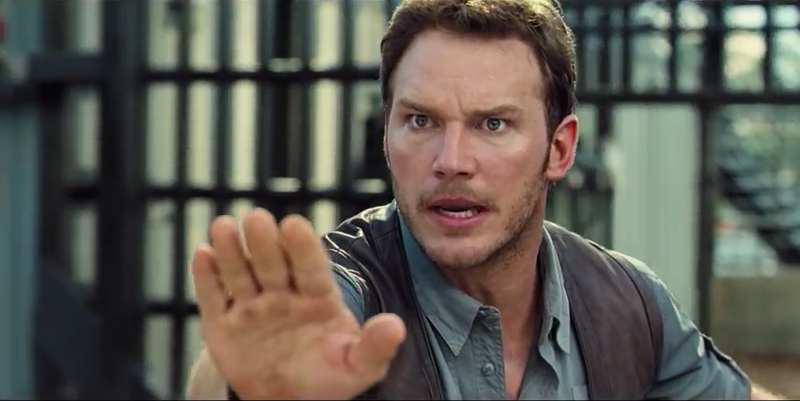 I had no idea Pratt was playing a dino whisperer. The scene is like, basically every day with horses: don’t do something bad that they’ll remember, but don’t taken any sh*t from them either. Use firm, declarative sentences, don’t be afraid, and don’t leave on a bad note. This is like Monty Roberts for prehistoric reptiles. Cool! ^ And then he says, ‘I see you over there!’ to the cheeky one that’s trying to sneak up on him. It’s like me and Cathal every time. I may go see this now*, but maybe by myself so only I know how many times I dropped my popcorn. *Soz, filmmakers, I literally too much of a scaredy cat, and I never saw it. Previous PostPrevious MBF Q&A: What Is Codependency? Resident in Ireland for twenty years, Susan E Conley went horse crazy at the tender age of 41 and 11/12ths. In 2006, she finally got up the nerve to get up on an actual horse as opposed to reading and dreaming about them, and it’s been harder and easier than anything she’s ever done yet. 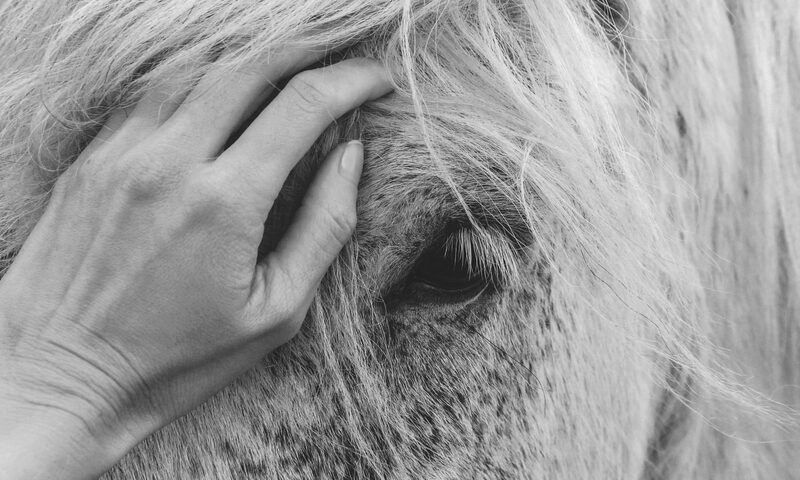 Susan has a Master of Philosophy in Irish Theatre Studies from the Samuel Beckett Centre, Trinity College, an Hon- ours Degree in Psychology, and a diploma in Equine Assisted Therapy and Learning. Conley is the author of three other books: Drama Queen; The Fidelity Project; and the soon-to-be-rereleased That Magic Mischief. She is at work on her next ‘horse book’ as well as a new paranormal/historical romance series. You can follow Susan on Twitter and Instagram @manybravefools. © Susan Conley and Many Brave Fools [2007-2019]. Unauthorized use and/or duplication of this material without express and written permission from this site’s author and/or owner is strictly prohibited. Excerpts and links may be used, provided that full and clear credit is given to Susan Conley and Many Brave Fools with appropriate and specific direction to the original content.